I have tried setting the path but no avail. As you can see, this is where my Python is installed. I don't know what else to do. Can someone help? https://docs.python.org/2/using/windows.html Taken from this question. Firstly, be sure where your python directory. It is normally in C:\Python27. If yours is different then change it from the below command. i solved this by running CMD in administration mode, so try this. I have met same issue when I install Python, and it is resolved when I set a PATH in system, here are the steps. 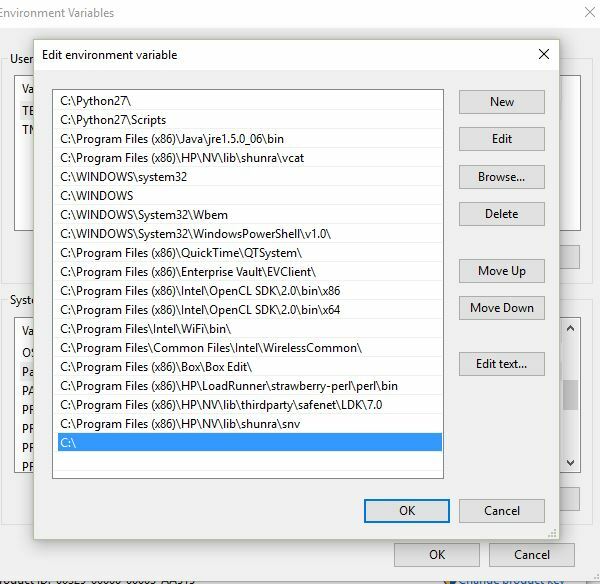 Navigate to "Control Panel" -> "System"
Add "C:\"to the environment variables field, if you are using Windows7, then separate it by a semicolon from the existing entry. If you are using Windows10, just simply click "New" to add. From the Python docs, set the PATH like you did as above. Then execute the Python command using the full path name to make sure that works. Just find out where you have these three files in your system then copy each path and paste it in environment variable one by one. Then click ok to all. Then Restart your Spyder kernel(left hand side) and type python in cmd to check if it is working. Not the answer you're looking for? Browse other questions tagged python cmd or ask your own question. 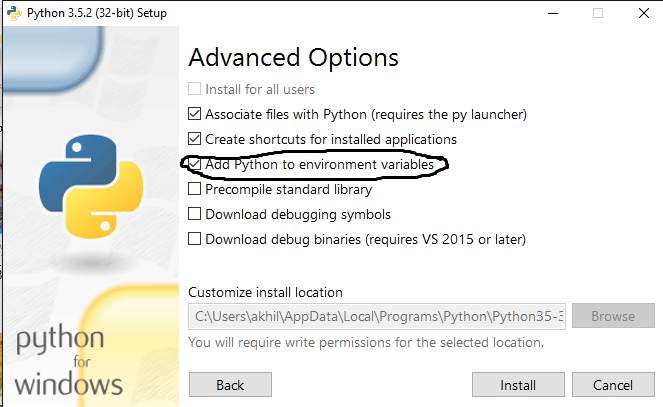 Environmental path to Python not working?